$500k+ raised, and we’re not yet done! Our connection with The Cystic Fibrosis Foundation started with our own member family, the Baker’s from Atlanta. We found out about their story after our first Smokies GT event. In 2002, Jon and Pam only son was diagnosed with cystic fibrosis. Soon after that their second unborn son was also diagnosed with CF. The world for them stopped turning. Hopes of first football games, girlfriends, graduation and grandchildren turned to a future full of hospitals, mounting bills and a parent’s worst nightmare. They have been fighting the dark cloud ever since. During our very first Smokies spring event a strong sense of community had instantly and magically formed amongst the 30 participants. Upon finding out what Cystic Fibrosis was and how families like the Baker’s are affected, we were convinced that something had to be done and Smokies GT could play a role in raising awareness and funds for The Cystic Fibrosis Foundation. So at the 2nd Smokies spring event a group of children cycled around Atlanta Motorsports Park and raised $5,000 for the foundation! That motivation has continued and we have powered on and raised over $500,000 ! 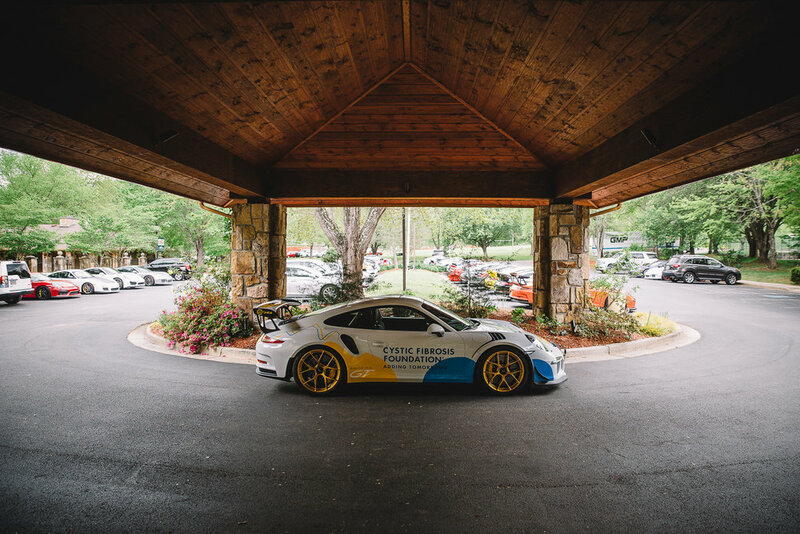 All proceeds from the Smokies GT Spring 2019 event will benefit the Cystic Fibrosis Foundation, the world’s leader in a search for a cure for cystic fibrosis. It is because of events such as ours that the CFF has achieved tremendous strides over the past 60 years in accelerating innovative research and drug development, as well as advancing care and advocacy.